Japan, a country obsessed with fashion, service and technology came up with another interesting combination of these three elements to the delight of its shoppers. 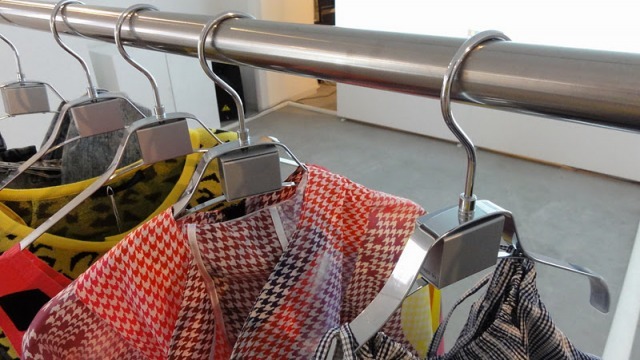 This time it’s interactive hangers that made it to the news and the way they work is pretty simple: every time a person picks up a certain piece of clothing a screen above it will show relevant videos or images of the product or related ones. The trick are the chips embedded in hangers that are sending signals to computers controlling specific displays across the shop, based on the position of the hanger. They are also used to gather data on how popular a product is and how effective its positioning is in the store. The shop in question belongs to Vanquish, a rising fashion brand and one of the few that media pays attention to in Japan and whose Marketing & PR has obviously hit it right again. Showcasingclothes on screens in retail storesis far from being a novelty but when images are triggered by picked up hangers this is definitely something that stands out. 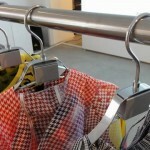 The interactive hangers are the newest example of an inventive way of using digital signage to enhance convenience (you don’t need to try the clothes yourself to see how they would look like worn) and create an out of the ordinary customer experience which in turn will create a media buzz, brand awareness, WOM and articles like this one. Dynamic visual merchandising catches the eyes of the shopper and drives further purchases as it is an unobtrusive way of marketing products without disrupting and disturbing but ”blending with the shop itself adding to the shoppers experience in a far more natural way” JapanTrends notes. This entry was posted in Digital Signage, Marketing and Advertising, News and tagged advertising, digital signage by Dynamax. Bookmark the permalink.